Our Custom Large Teddy Keepsake is made from a loved one's clothing. The best fabric is use is any non-stretchy fabric, such as cotton, light weight jeans, or light weight flannel. Choose: dress shirts, a wedding gown, bandanas, PJs, pillow cases, or blouses. We will need about 1 1/2 yards of fabric per bear. You can indicate where you would like the fabric placed, on the arms, legs, chest, ears, etc. Additionally, you might like a cowboy or cowgirl hat, head scarf, baseball cap, floppy hat, tie, or bow tie for the Teddy Bear, made out of the fabric you send us. Again the jacket is included with each teddy bear and we will embroider a name on the Teddy Bear or the jacket. The cowboy or cowgirl hats are available in many colors, so you can indicate a color you would like, or we can match a hat to the Teddy when it is finished. We make everything out of the fabric that you send us, so you can be specific about how you want it made, or just let our seamstress create a beautiful remembrance. The Peaceful Rest African American Baby Girl Urn is a beautiful pink granite urn, made in the USA topped with a sweet baby girl figure. Measures 6" x 4 1/2" x 7", and can hold an infant up to 18 lbs. and is 18 cubic inches. You may personalize a plate with up to 4 lines of engraving. The In Heavens Arms Baby Girl Urn is a light wood oval shaped base, with a resin figure at the top of an angel resting in wings painted in light pink . 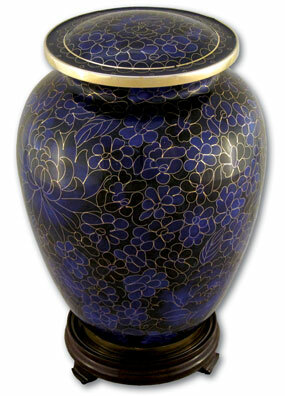 We can laser engrave directly into the wood urn with up to four lines of engraving. Our Peaceful Rest Baby Girl Urn is a beautiful pink granite urn, made in the USA topped with a detailed Sleeping Baby option of a girl with a pink head band and white diaper or a girl with a pink and white cap and a pink blanket. A truly lasting keepsake, sure to become a family heirloom, a wonderful source of comfort and connection to recommend for grieving families. Your clients provide their favorite photo of a loved one, then see them come alive in 3D. Below the crystal is a 110V LCD light box, projecting its light straight up through the crystal. It is not attached to any urn and can be kept at home if the urn is interred. The name and dates of the family's loved one, or a personalized message if they prefer, are included. The image for the crystal, must be looking straight forward, a clear large (digital file) is best. Measures 3 3/16" x 2 1/2" x 2 1/2"; 3 3/16" x 3 3/16" x 3 3/16". Always keep your loved one close to your heart with a memorial pendant. Satin Cord included. Includes Sterling Silver Bail. 1.25" Dia. Each Art Glass keepsake is handmade and therefore unique. The Artist uses different blends of colors based on the choice of Dimensions, Infinity, Earth & Sky or New Dawn; however, since each piece is a unique and hand-crafted work of art combining a loved one's cremains, the overall look and color variations may vary. Art Glass ships within 21 working days. The Infant Bootie Keepsake Urn is beautifully made of sterling silver, crafted into an infant bootie where you may cherish your sweet angels cremains. Also included is an 18" chain. This keepsake can be engraved with 2 lines, up to 8 letters per line. The Buccaneer's Ship Infant Urn features a miniature model pirate ship complete with movable mast, sail, and anchor. It is made and finished in pewter, meaning it will not tarnish. Measures 5" x 6" x 2 3/4"
The Pewter Nursery Block Urn is a classic representation of a nursery block, complete with letters and animals throughout. This delightful little urn is crafted in relief with a brushed pewter finish, and each urn is made with the highest quality lead-free pewter. They will not tarnish and can be cleaned with warm water, mild soap and a soft cloth. Up to three lines of text can be engraved on the top of the urn. The Tiny Angel Pewter Infant Urn is handmade from gleaming pewter with a delightful gold teddy bear on top. The interior is lined with soft, blue velvet. This piece will not tarnish. Clean with warm water, mild soap and a soft cloth. Engravable up to 3 lines of text, 15 characters each. Measures 1 7/8"; 1 cubic inch. Keepsakes are perfect for cremains, flower petals, lock of hair, mementos, etc.